When Paulie Allen Puffer tells Junie B. that there's a drooling monster under her bed, she can imagine the monster creeping onto her pillow at night, putting her head in his mouth. Thanks to Paulie, poor Junie is having her worst-est night ever. From the front Cover There's no such thing as monsters. Mother and Daddy even said so. But then why is there monster drool on Junie B. 's pillow? Oh, no! What if Paulie Allen Puffer is right -- what if she really does have a monster under her bed? 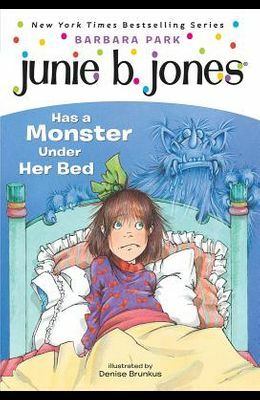 If Junie B. goes to sleep, the monster might see her feet hanging down. And he might think her piggy toes are yummy little wiener sausages!